Last week, Coulson and company reemerged from the shadows to retrieve a mysterious object referred to by HYDRA as the Obelisk, and had their first encounter with Carl Creel, the Absorbing Man. This week’s chapter “Heavy is the Head” resumes where the story was left dangling from last week’s premiere, with an overturned car tugging at its end. This week picks up and wraps up the season 2 premiere arc, but with the addition of things we were missing from last week: development of new agents Mac and Hunter, May being a badass, the reveal of Skye’s father, and Coulson’s “The Shining” condition. This episode spent a significant amount of time allowing the audience to get to know Lance Hunter, a once-soldier-turned-mercenary who has very few personal ties to other people. Hartley (Lucy Lawless) was one of those few, but is now declared dead as a result of the car crash and effects of the Obelisk. When captured by Glenn Talbot’s crew, dropped off in a ditch, and then immediately picked back up by the General himself, he’s offered a deal to spill the beans on Coulson’s operations for a couple million bucks and a proper burial for Hartley. 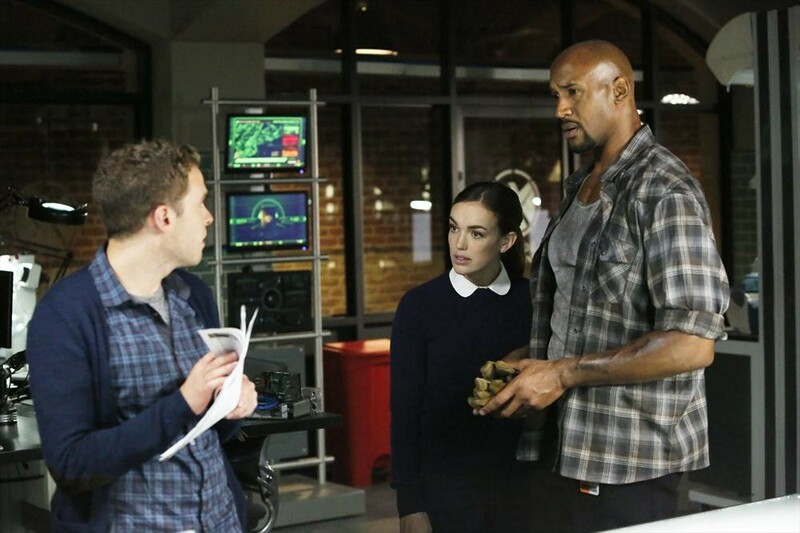 “Heavy is the Head” does quite a few things to keep Agents of S.H.I.E.L.D.’s story churning along, but more than anything, it is an episode made as a proof of concept that this new character, played by the awesomely named Nick Blood, is a valuable asset for a desperate Director Coulson, and is enough of a clever wild card to keep on the crew. This scene in Talbot’s chopper establishes his priorities and his ability to deceive, as he takes the deal for the money and honor for his fallen friend, but gives Talbot crap information. The character’s morality is further detailed as he pries into Skye about sticking with S.H.I.E.L.D. 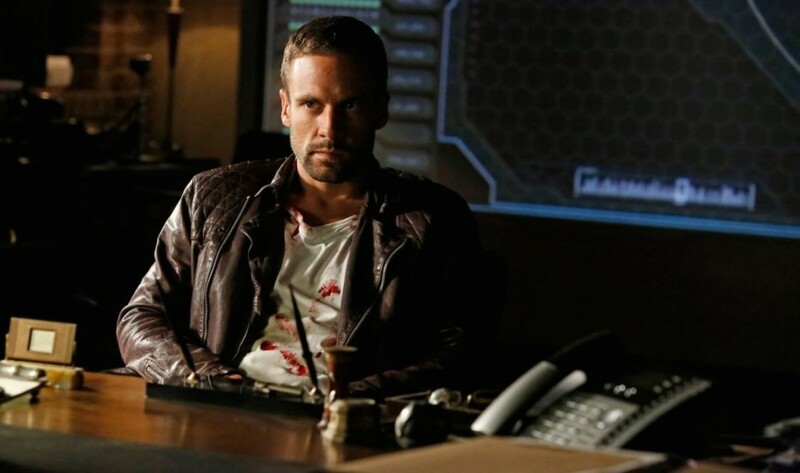 when, to him, such an organization is just a job, “a means to an end.” His true colors fly in the climax of the episode in the midst of a setup to take down Creel and grab the Obelisk, and those colors spin like a tie dye wheel when he breaks his “Scout’s Honor,” knocking out Skye, May and Antoine to try and take down Creel himself in an admittedly cool-looking slow motion shot that reminded me of the better parts of Guy Ritchie’s Sherlock Holmes films. Yes, that’s right, he took down Melinda “The Cavalry” May, and Coulson recognized this as a potential asset instead of a threat, if he played his cards right. Abilities: Agent with undetermined intuition and intelligence. 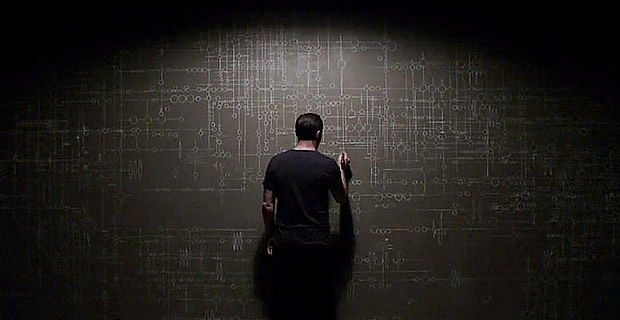 We got to know Mac, albeit not as much, as he’s paired with Fitz in an attempt to figure out how to capture Creel. It’s nice to see that the newcomer techie could prove to be a quality partnership for Fitz when it seems as though everyone else had given up on him. Mac probably didn’t sign up for giving therapy, but he respects Fitz’s natural intelligence, as opposed to his learned skills, making for a well-fit foil of a new character compared to the veteran. I also got a good laugh out of his relaxed reaction to Fitz interacting with Imaginary Simmons with the quip, “Hey, talking to yourself? That’s cool, it’s kind of like singing in the shower.” His attitude toward Fitz is nice, considering the rest of the crew avoids him like the plague. I like Mac thus far, and maybe he’ll be the catalyst for Fitz coming into his own out of all this separation anxiety. Plus, he’s black. 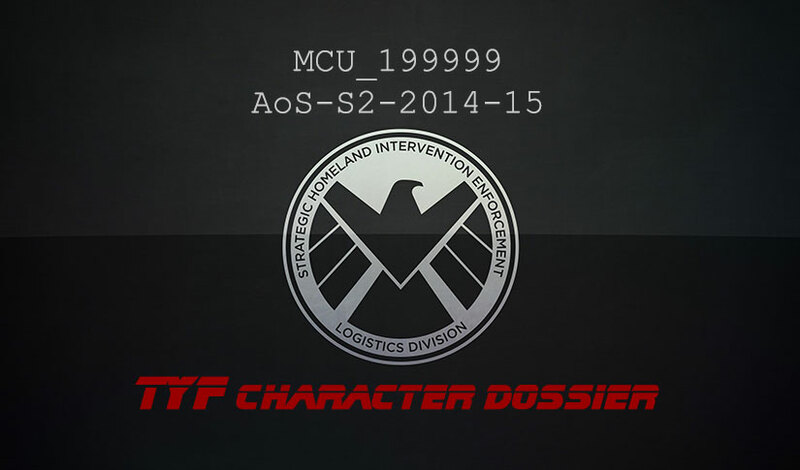 Points for extra diversity, Coulson. I’ve yet to feel like Skye has had much time to catch up with us this season. She’s a real agent now, she’s over Ward, and she’s willing to make quips and argue because of her past with Coulson, but the most telling thing about Skye in season 2 so far is that we were shown who her father actually is… no particular character we know, but he’s played by Twin Peaks’ Kyle McLaughlin, who is affiliated, and seemingly in charge of, Reina, the girl in the flowery dress from last season, and he seems to be more confident about his own knowledge of the Obelisk than anyone else we’ve seen yet. Coulson’s condition I used for a Stephen King joke isn’t brushed under the rug, as he tries to evade revealing it to Skye, but also has been keeping May in the know on what little he knows about it, even so far as having her document when it happens. Her support is so vital that he probably wouldn’t be able to come close to running The Bus in the old days, let alone S.H.I.E.L.D., if not for her support. 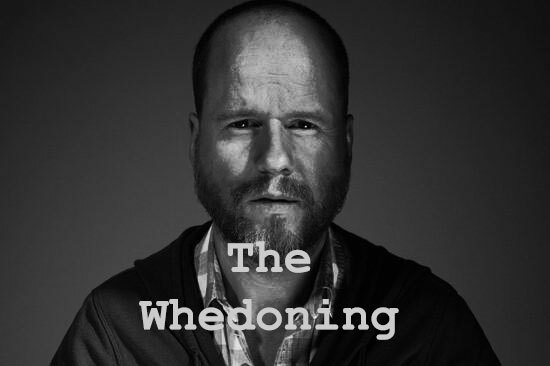 Upon the episode’s end, she needs to badger him to let… whatever this is… run its course like clockwork, as forcing it down puts a strain on his energy and cognition. I’m hoping that it comes to fruition sooner rather than later, as I can’t seriously determine what is affecting him, between his stress due to this alien technology in his brain and his carrying the weight of the free world on his own vigilante soldiers. What is certain is that the combination has forced him into a place where he had to play dirty and make harsh decisions, like the one that cost Hartley her life. I’ll gladly be along for the ride as long as Coulson will be allowed to grow from it, rather than being struck down when he’s most needed. 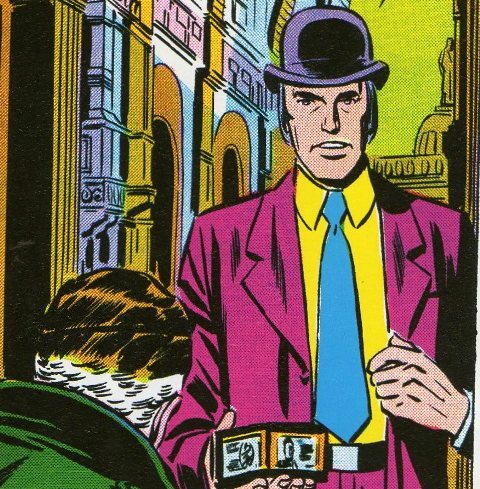 Next week… Simmons defected to HYDRA!? Say what?! Next ArticleInterview with Actor Tony Amendola & Curandero/Shaman Salvador Gata About "Annabelle"